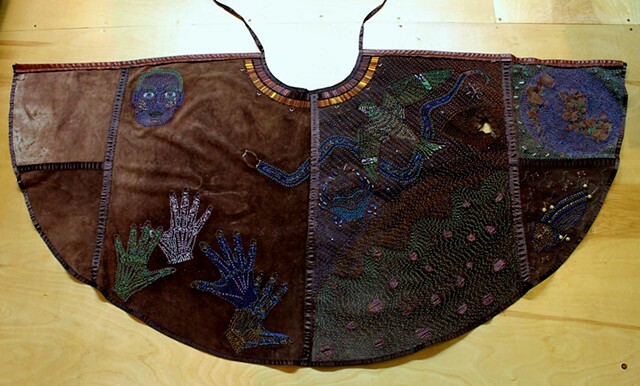 Beads, shells, stones, and ribbon stitched on leather. See Cape tells the story of the creation and destruction of life on earth. This is a long-term project. Please check back periodically on the progress.